It fills my heart with joy unspeakable to rise in response to the warm and cordial welcome which you have given us. l thank you in the name of the most ancient order of monks in the world; I thank you in the name of the mother of religions; and I thank you in the name of the millions and millions of Hindu people of all classes and sects. My thanks, also, to some of the speakers on this platform who, referring to the delegates from the Orient, have told you that these men from far-off nations may well claim the honor of bearing to different lands the idea of toleration. I am proud to belong to a religion which has taught the world both tolerance and universal acceptance. We believe not only in universal toleration, but we accept all religions as true. 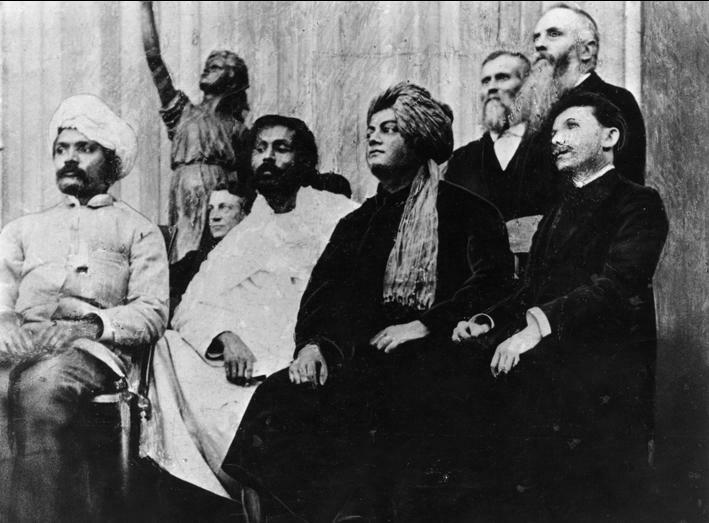 Aliester Crowley studied Swami Vivekananda quite closely. We have a track here from Swami Vivekananda to Aliester Crowley to Hubbard.